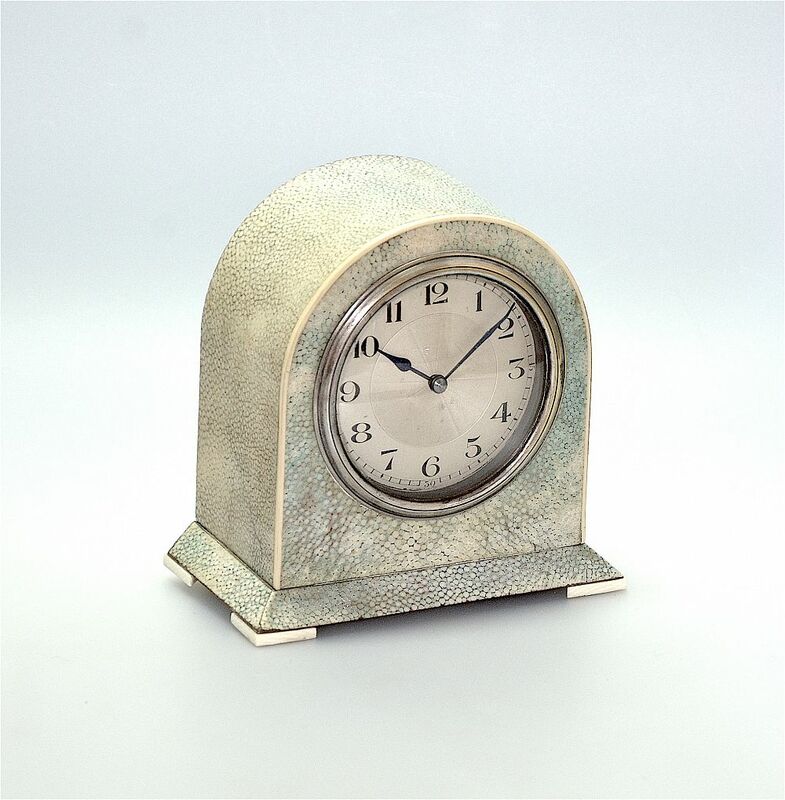 This very stylish clock would have been made in the Art Deco period. 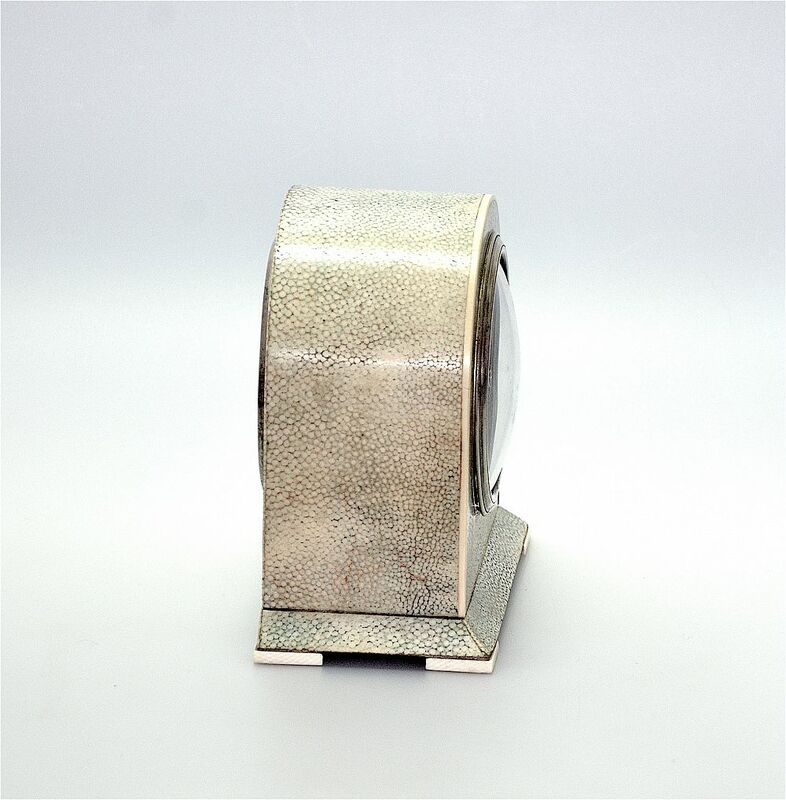 It is made of wood covered in shagreen with an ivory trim around the front and slices of ivory for feet on each corner of the skirt and would have been made in the Art Deco period. 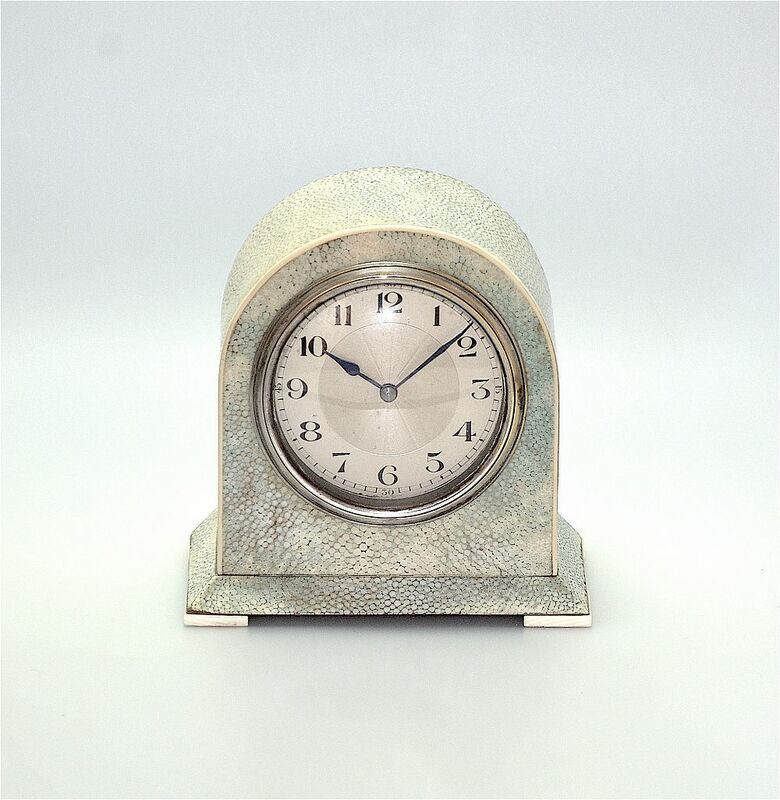 On the back of the clock is an inset ivory plaque signed "Brook & Son Edinburgh". 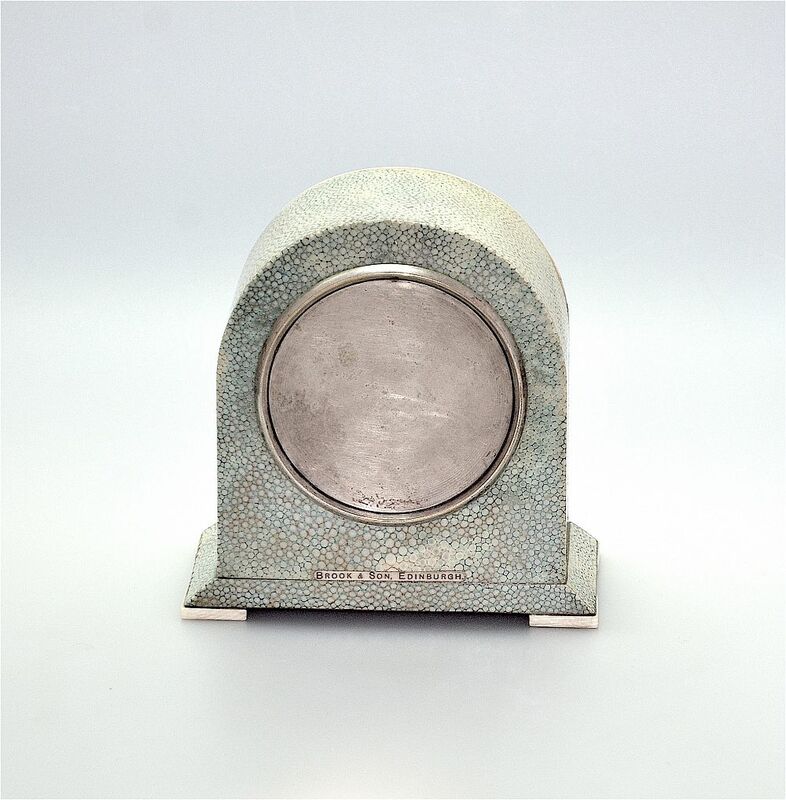 The movement can be accessed by removing the round white metal plate inset into the back of the clock. Brook and Son, were one of Edinburgh's foremost jewellers in the early 1900s. In the 1916/17 Edinburgh & Leith Post Office Directory they were listed as "Goldsmiths to H.M. The King, H.R.H. Princess Louise, The King's Bodyguard for Scotland (the Royal Company of Archers), watch and clock makers, ..."